Being the leaders in the industry, we distribute HSS Cutting Tools, Metal Cuttings Tools, Wood Working Tools, Carbide Tools & Inserts, to our prestigious clients. These high speed steel cutting tools are used to cut hard metals as it can withstand high temperatures without losing its hardness. They are available in various shapes and sizes to meet the requirement of the customers. H.S.S. 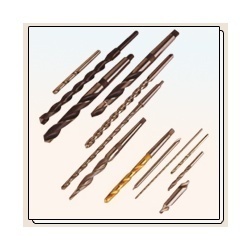 Drill Bits: Our clients can avail from us a wide range of Drill Machine bits. These are designed as per the industry standards and are offered in various technical specifications to our clients. Our machines cater to the requirements of various industries and are known for their optimum performance and long working life. Miranda cutting tools: we are the trader and distributor of professional electric tools manufactured by miranda tools. 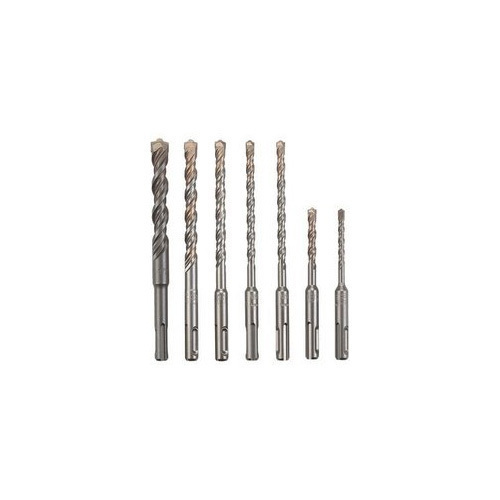 Under this category, we offer tool bits, drills, end mills, reamers, carbide tipped tools, la blades, measuring instruments, clamping devices, air tools, drill re-shaping machine, hand debarring tools, automatic center punch, t-slot milling covers, solid carbide end mills, solid carbide drills, carbide rotary burrs and taps. Excellent comfort with ergonomic soft grip handle. 50% vibration effect reduced through elastic handle built with special material. Schifler offers a wide variety of HSS Core Drills,CBN-ground,suitable for all magnetic drilling machines. The HSS Core Drills from the production line of Schifler can be used to drill the most common types of steel ( <500 N/m2 ) and cast iron. Application : For drilling steel (T-steel-girder, H-Beam), cast steel, non-ferrous metal. Following types are available from our standard HSS Core Drills program. Cutters with different diameters (also half mm) and lengths are available on request. Cutting Tools: We are one of the most reputed manufacturers of high speed cutting tools in the country. The wide assortment of hss cutting tools, available with us, includes involute cutters, gear hobs, concave & convex cutters, reamers, endmills, reamers, toolbits, cylindrical cutters, woodruff, and many more. These tools are accessible in both regular as well as irregular sizes as per the requirements of the customers. Extremely flexible and anti-corrosive, our high speed steel cutting tools are highly efficacious for various industrial purposes. Moreover, we offer these tools at the most discounted price. Cutting Tools: Our company specializes in offering our customers with premium quality cutting tools that meets the variegated and specific requirements of our customers. 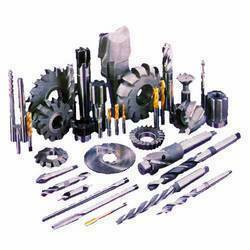 The impeccable range of products offered is h. S. S. Drills, end mill, slot drill, centre drill, reamers side & face cutter tool bits, drill, end mill, carbide reamer, slot drill and hacksaw blade. Available in various sizes and dimensions, the products are customized according to the client’s specifications and requirements. The products are appreciated for high performance, durability, corrosion resistance, perfect finish and high efficiency.